Lilydale Lakeside Campus is an extensive education precinct incorporating TAFE, higher education and short courses. 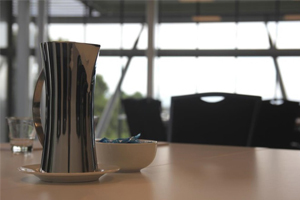 The Yarra Ranges Lilydale Library is located on site, open 7 days a week and a campus café is open during the week and will soon be open on weekends. Overlooking expansive manicured lawn and garden areas, the open space potential of the Atrium in Building LA is a popular choice for large functions with views across to Lilydale Lake. The site offers numerous opportunities for hire to accommodate your event or function. 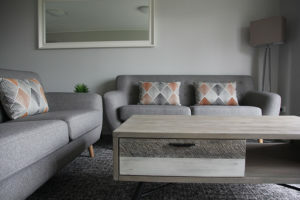 The Stringybark rooms can be used separately or together depending on the function. Separately they can accommodate 35 people for a board meeting or professional development class, 60 people for a cocktail function or 45 people for a theatre presentation. 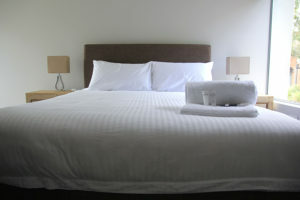 Combined, the Stringybark rooms have a magnificent capacity for up to 120 people. 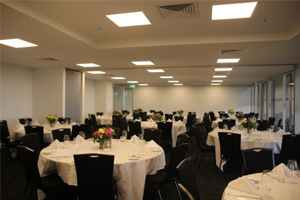 The large room is ideal for functions with catering located on site. 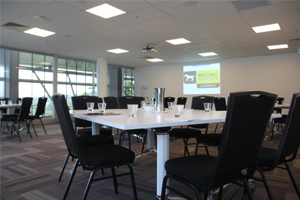 The Spotted Gum room is a perfect classroom size but also large enough to host an informal cocktail event or cabaret. 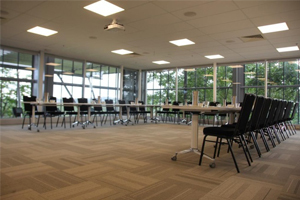 Fitted with a Wi-Fi access, whiteboards and flip charts (provided on request), it overlooks the lawns of the Lilydale Lakeside campus and can accommodate 40 people in a classroom set up or up to 60 people for a cocktail function. The Alpine Ash room is located on the second floor and can be used for numerous purposed. It is equipped with Wi-Fi access, whiteboards and flip chart (provided on request). 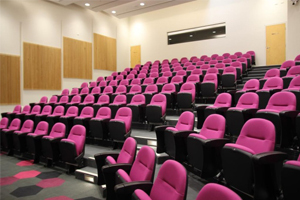 The room comfortably accommodates 40 people in a theatre formation. The room overlooks the lawns of the Lakeside campus and has views of the valley. Located on the second floor Sassafras meeting room is ideal for business meetings holding up to eight guests. 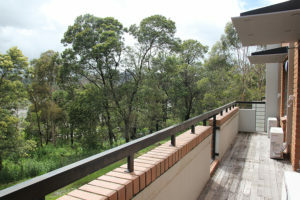 The room overlooks the Lakeside campus lawns and has views of the valley. An overhead projector, whiteboard and flip chart can be provided on request. 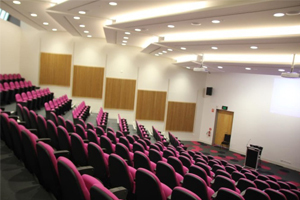 An ideal space to host Guest Speakers or display your latest blockbuster presentation, the Auditorium can accommodate 180 guests. Twin projector screens and integrated sound system are included, with lavish upholstered seating and ample legroom for comfort so your guests can enjoy the experience. 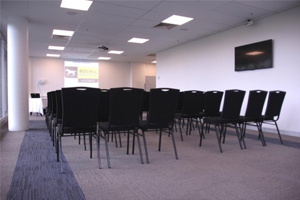 Our General Purpose rooms are available for all function types, accommodating from small intimate groups to large functions and seating up to 80 people per room. 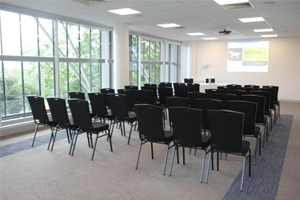 Room hire encompasses basic AV equipment including projector screens and sound system, free WiFi access and free onsite parking. A technician is available weekdays 9am–5pm or by prior arrangement to assist you with the standard equipment provided in the room. We can tailor our room hire packages to suit your needs so your event is a success. 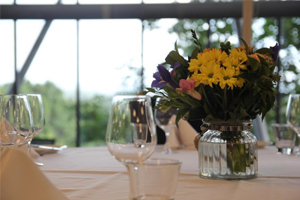 We offer flexible catering options from a simple morning tea and coffee service to gourmet breakfast, lunch or dinner service in Mitchell’s View Restaurant, or a marquee set on a picturesque location on our beautiful grounds. Our talented head chef and banquets team can create the ideal catering package for your budget and the occasion. This inviting restaurant is located on Level 3 of Building LB overlooking the tranquil campus grounds. The venue is suitable for delegations of up to 80 guests and can be configured to your needs. Our commercial kitchen space adjoins the restaurant allowing all meals to be prepared on site and served fresh to the table. Lakeside Villas is located in a quiet location overlooking the serene Lillydale Lake. The lake is home to a wide variety of local native wildlife and birdlife and features a 2.5km walking track around the lake and 10 kilometres of shared trail throughout the 28 hectare lake park. Perfect for walking or bike riding. 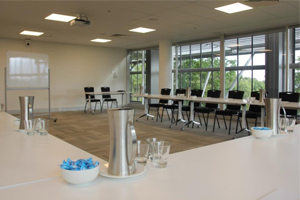 To inquire about room availability, please contact conferencing.lilydale@boxhill.edu.au.